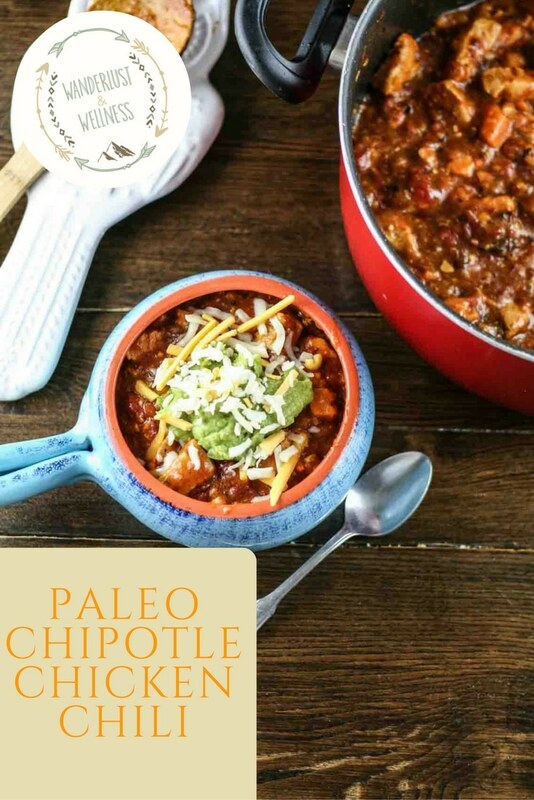 It might be just a little bit warm outside yet for chili but that didn’t stop me from fixing this Paleo chipotle chicken chili. I mean, it’s football season, right? 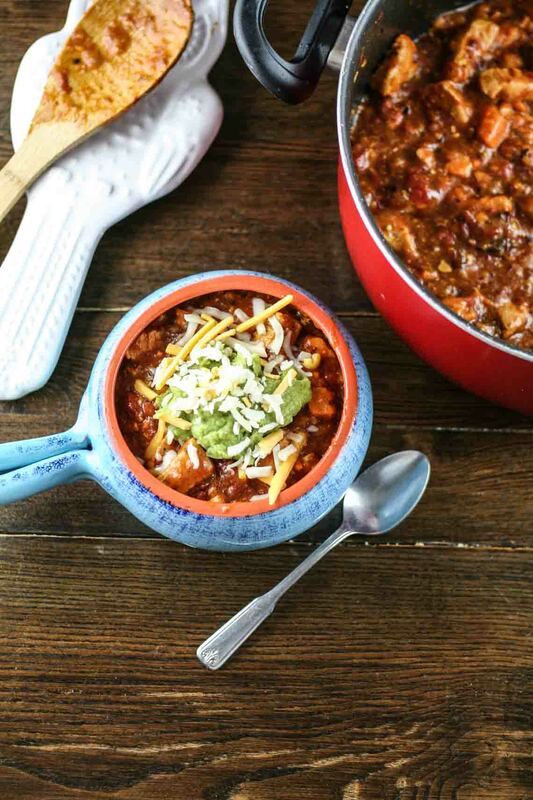 That means it’s chili season! And this recipe is one you’re going to want to try. 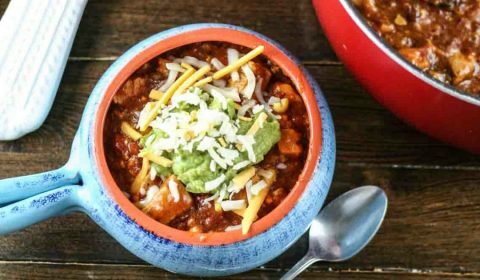 Heck, I would even enter this into your work chili cook-off because it is a WINNER in my book! In a large stock pot, add olive oil and heat over medium heat, then add onions and garlic. Cook until the onions soften. Add shredded chicken and chicken broth, let simmer for a few minutes. Add in diced tomatoes, sweet potato, chipotle chilies, and spiced. Stir to combine, cover the pot with a lid, reduce heat to medium-low and cook for about 1 hour. 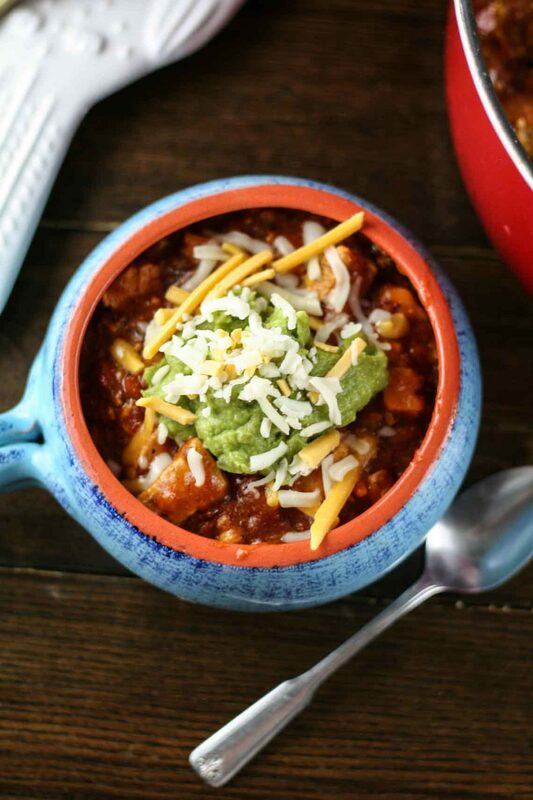 You want the chili to simmer but not hard boil. 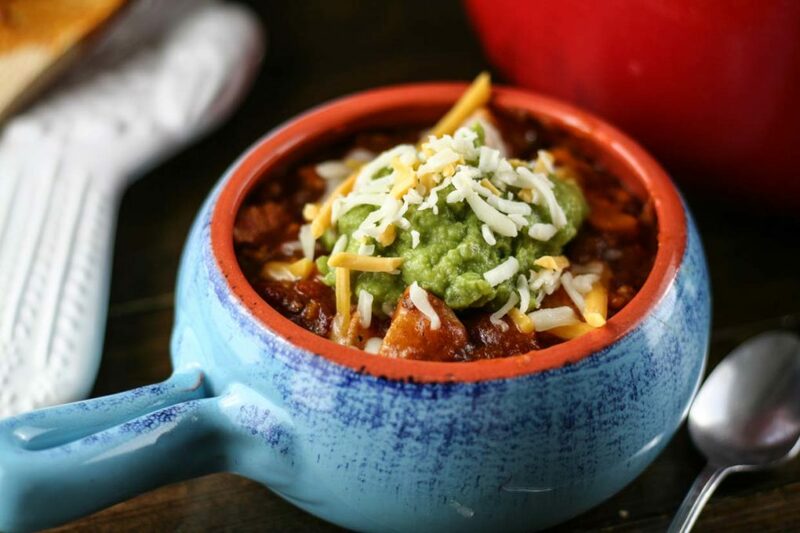 Once finished, serve and top with shredded cheese, guacamole, and/or whatever toppings you’d like. This look great, I love the inclusion of sweet potato. That and wow, three chipotle’s plus chili powder, no wonder you say it has a kick to it!